of getting your girlfriends together for a night of fun and crafts, this is for you…. 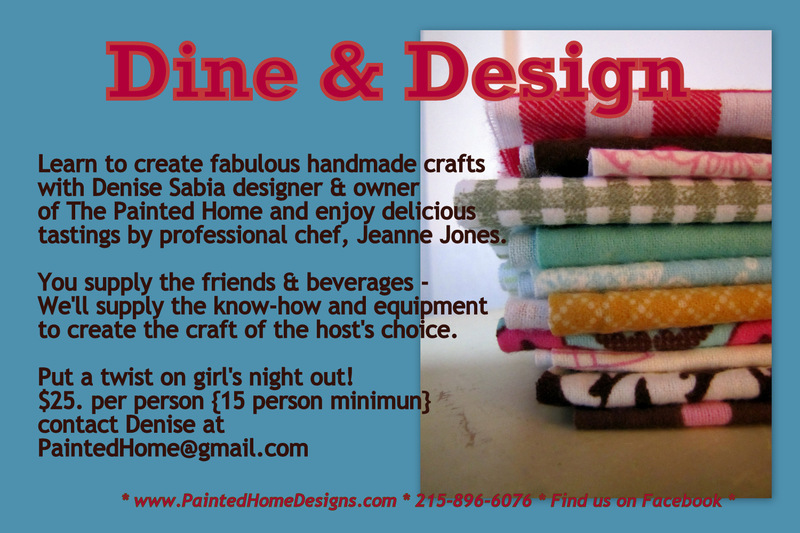 Host a Dine & Design at your home this Spring! when and where would this be? My girlfriends and I are always looking for something fun and different to do and we can also bring wine….yeah. I don't know that I can get 15 people to commit so if there are other people like me that could grab a few people and add them with others you know, I would be very interested. Welcome Dine & Design. We wish that this you bring some more exclusive homemade design.